Stay in Fargo, ND at the full-service Radisson hotel to enjoy astounding views from the state’s second-tallest building. Each of our 151 European-style rooms features top-notch amenities, including an HDTV, an iPod® docking station and plush furnishings. Plus, free Wi-Fi keeps you connected to home and the office. Treat yourself by upgrading to one of our suites, which offer unique interiors and either a soaking or jetted bathtub. *Guests must be 21 or older to check in and rent a room. Featuring all of our standard amenities, these rooms come with your choice of one king or two double beds. 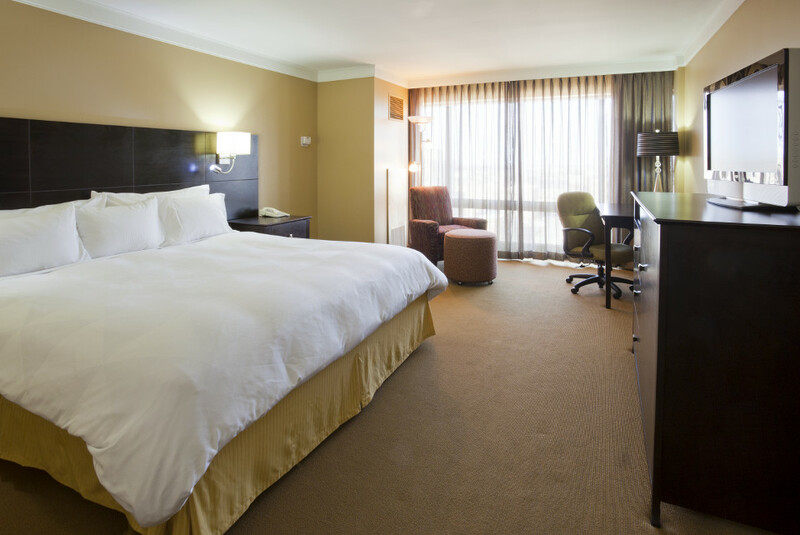 Experience more space and beautiful river views in a Premium Room with a king bed. Wrap up your day with a relaxing dip in the soaking tub before you curl up in a king-size bed. Then start your day by watching the city bustle from your window or the local news on the 42-inch flat-panel TV. Plan a romantic getaway by booking this suite with a whirlpool tub, city views, a plush king bed and all standard amenities. Take in memorable city views from this two-room suite and a deluxe bathroom with a whirlpool tub and separate shower. You can relax in the living room featuring a 42-inch TV, a sofa and chairs. All standard amenities are included as well as a wet bar and a 42-inch TV in the bedroom.